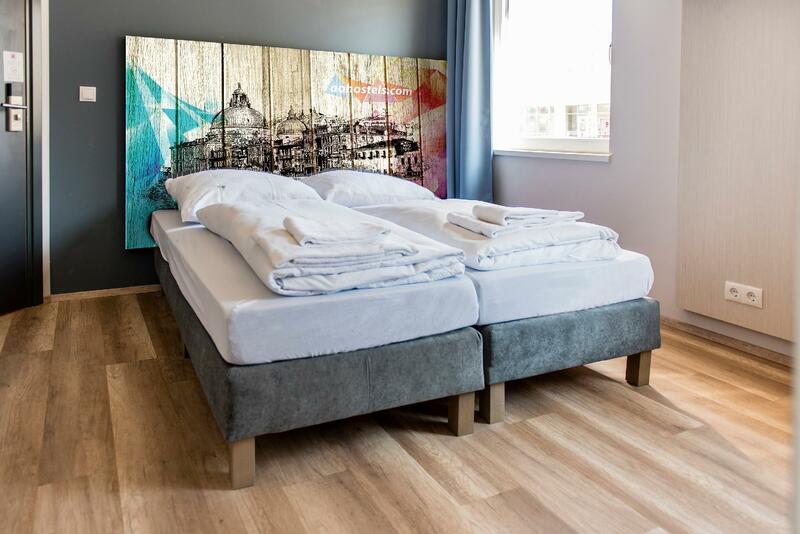 "The room is clean and comfy, it is a good chioce to stay her..."
Have a question for a&o Venezia Mestre? "The room is clean and surprisingly big." "Fantastic stay and will book again." "It's quiet at night, i recommand it!" 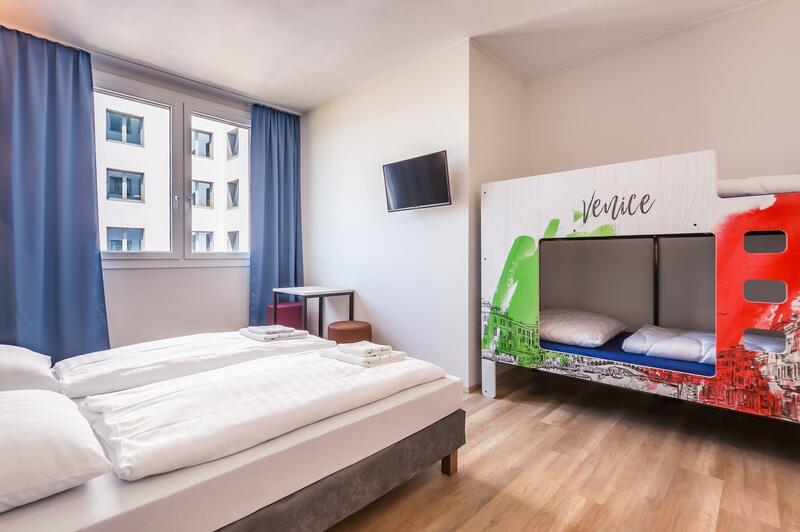 "Hostel is new with a nice, hip lobby that allows for loungin..."
A&O Venice Mestre, located in Mestre, Venice, is a popular choice for travelers. From here, guests can enjoy easy access to all that the lively city has to offer. With its convenient location, the hotel offers easy access to the city's must-see destinations. The facilities and services provided by A&O Venice Mestre ensure a pleasant stay for guests. While lodging at this wonderful property, guests can enjoy free Wi-Fi in all rooms, 24-hour front desk, luggage storage, Wi-Fi in public areas, family room. 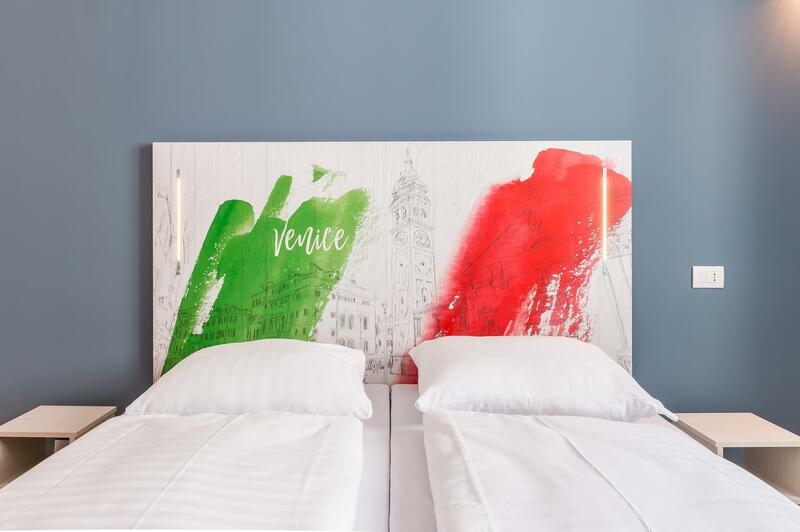 A&O Venice Mestre is home to 300 bedrooms. All are tastefully furnished and many even provide such comforts as television LCD/plasma screen, linens, mirror, towels, smoke detector. Besides, the hotel's host of recreational offerings ensures you have plenty to do during your stay. Superb facilities and an excellent location make the A&O Venice Mestre the perfect base from which to enjoy your stay in Venice. "The staffs and room are nice,would love to stay here again :..."
The hotel is in Mestre, many km away from Venice center. However there are ample transport, to the island with good connection to the water taxis to city center and other interesting areas in and around the main island. This hotel is value for money although some building work in the vicinity messed up the place. A nice 5 to 8 mins walk to the bus stop to Venice. Hotel can also arrange for transfer to the airport if you do not like to pull your luggage to the bus stop to the airport. The staff are very helpful and well versed in English. Excellent hotel, but one of the staff at the bar was kinda racist. She’s smiling and greeting white people, but not for asians. And it seems she shouted at me when I talked to her and asked some questions. Hope, every staff will treat their guest fairly regardless with race. But overall, hotel is excellent. Good location. 8 mins walking distance to Venezia Mestre. Very lively and happening hotel. A 15 mins bus ride to Venice. Room was clean and spacious. There is a shared kitchen with mircowave oven, fridge, kettle and utensils for all to use. Highly recommended. The hotel is very new and everything works. The staff is friendly and helpful and service with a smile. The price is very reasonable compared to equivalent hotels in the vicinity. The hotel rating is 2 stars. Why? I don't know. It is equivalent to at least a 3 star hotel, if not 4 stars. During the transition from summer to winter, no air conditioning service is available. Windows cant be open fully and the room is very stuffy. It is also noisy as there are construction and traffics nearby. Room is nice and bathroom is clean. Overall is very satisfied. The hotel is just 7 minutes walk to the main central train station. 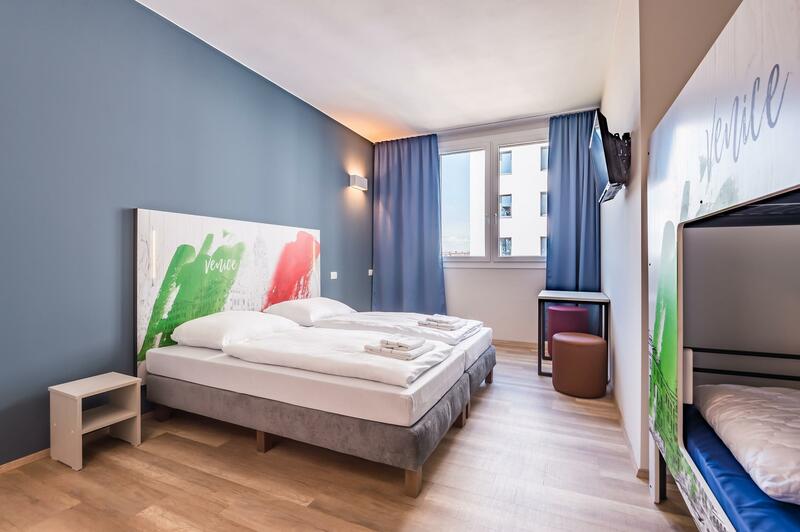 The location is very strategic and near to the central station where you can take bus or train to the venezia santa lucia. it was my third visit. never again. matresses were extremely and uncomfortable, very bad sleep as I sank completely down like in a hole. dirty bathroom with black hair in shower, wash bassin and next to toilet. at the wall in bathroom near toilet there was undefined blood on the wall. all seems already run down. at least friendly staff at reception. 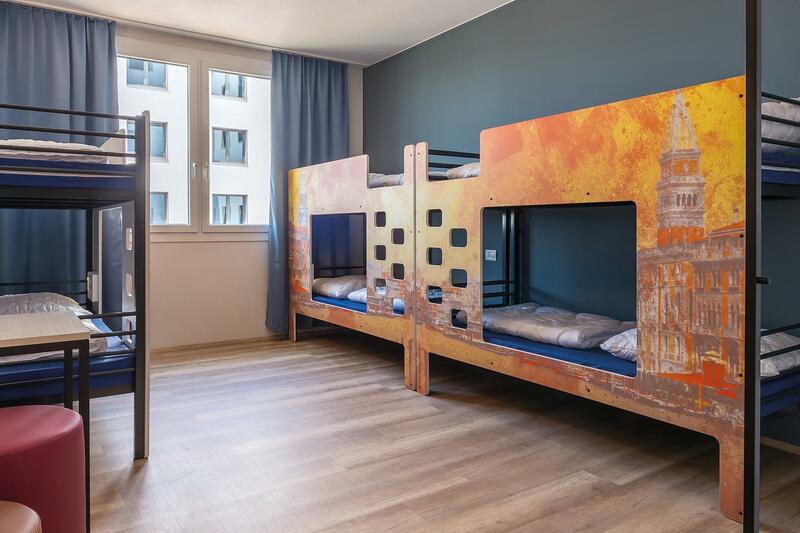 due to the dirt and disgusting experience I would never book here again, even if prices are as low as what i paid (less than 30,- € the night). even at that price I exspect more cleanliness and a minimum of hygiene. The reception service is very poor, in the sense that there are 2 girls to chech in hundreds rooms and thus you wait in incredibly long ques to get the check in or anything from the bar (the girls from reception also take care of the bar so...either one is open or the other). Organization of the staff = zero. The bed was not confortable at all. The room was reasonably clean. The location is good and they have several activities to do in the lobby, which is nice. However, I would not go again. This place has deteriorated in one year.. the walls are filthy. The place allows pets with no consideration for humans a with dogs allergies. We were 3 people with allergies we checking our itchy, congested and with body rash. You need staff to attend to clean up with detail. The walls are messed. The bedding is smelly. This is shocking for just one year. If you are going to allow pets consider separate design bedding for them as well as containing the check in to specific floors and specific rooms so as to avoid humans that are non pet people to have to stay in a room and use bedding reeking of dog. Nice hotel with an affordable price, walking distance to a big supermarket and Mcd. There's a nice pizza restaurant down the street, take 10min to walk to bus and train station. Not located inside Venice sightseeing place, need to take bus approximate 15-20min to reach. This place is really neat and nice. The check-in and check-out is extremely easy & smooth. Room condition is really good, very happy with the service. We were given Venice map upon check-in, this is extremely helpful!